Our apologies for the delay. A few technical difficulties but we appreciate your patience-Day 4 photos are finally up! It was a day for the books….new experiences, friendships blossoming and perfect weather! Today marked our first day of classes by guest lecturers. The participants reflected on Scripture and Theology as Fr. Simeon Johnson-a North Park University professor and Orthodox priest- and Dr. Michael Legaspi- an Associate Professor of Classics and Ancient Mediterranean Studies and Jewish Studies- presented their class discussions. They will be teaching classes for the next four days, allowing the participants to unpack all that they are learning and ask challenging questions! Following the sessions, we headed downtown to explore Chicago! We ate our lunch at Millennium Park near the Jay Pritzker Pavilion and were able to enjoy one another’s company. Of course, the CrossRoaders were eager to see the heart of the city, the famous “Bean”! It was impossible to miss our group in bright, purple t-shirts, cheering and laughing for the camera! Afterwards, we went on a Chicago Lake & River Tour. 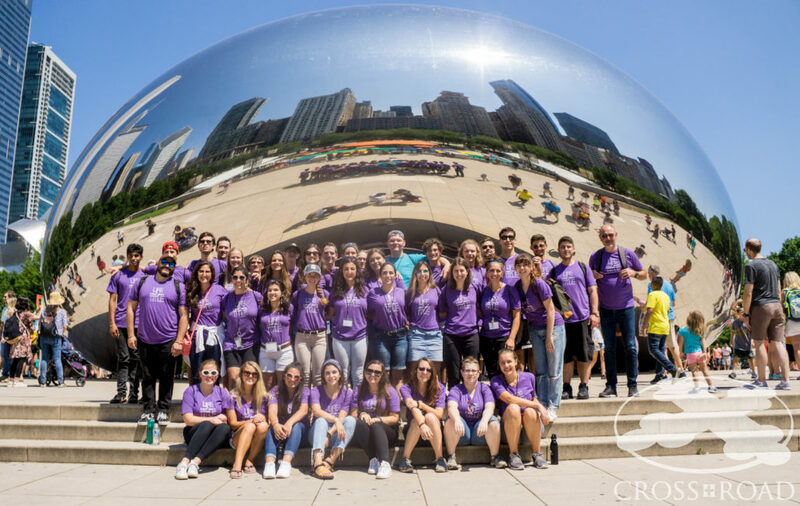 This was a highlight for many participants as they could see the entire Chicago skyline and soak up the sun and perfectly blue skies. Tonight’s parish visit took us to St. George Chicago where we held a Vespers service. We were greeted warmly by Fr. Chrysanthos Kerkeres, CrossRoad Alumni, and Telos team members. A big thank you to their community for hosting us for dinner and providing a Chicago favorite- Portillo’s! Unique to Session Three of CrossRoad, our group has a Scholar in Residence- Dr. Chrysostomos Stamoulis- to serve as a resource for both the Staff and participants. We were fortunate to learn more about his studies as a Theologian and ask him some questions through a Q&A led by Kyra. We are so grateful to our professors for providing so much knowledge and wisdom to the CrossRoaders! Participants will surely sleep well tonight, as we were all blessed with another full and beautiful day at CrossRoad.